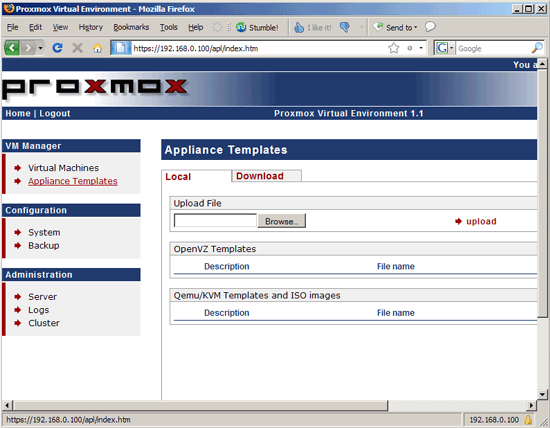 You can create a cluster or computing cloud by adding one or multiple slave servers to the Proxmox master (server1.example.com). Such a cloud allows you to create and manage virtual machines on remote hosts from the Proxmox control panel, and you can even do live migration of virtual machines from one host to another. 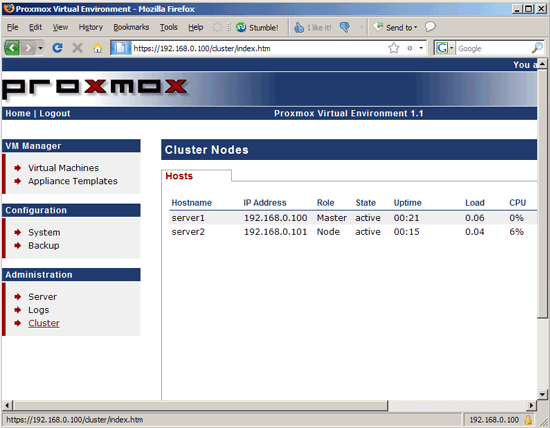 I will now show you how to add a second host, server2.example.com, and create a cluster. 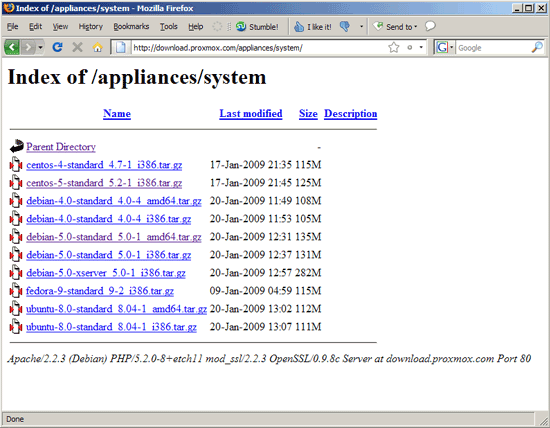 After the installation has finished, and the system has successfully rebooted, log in on the command line (e.g. 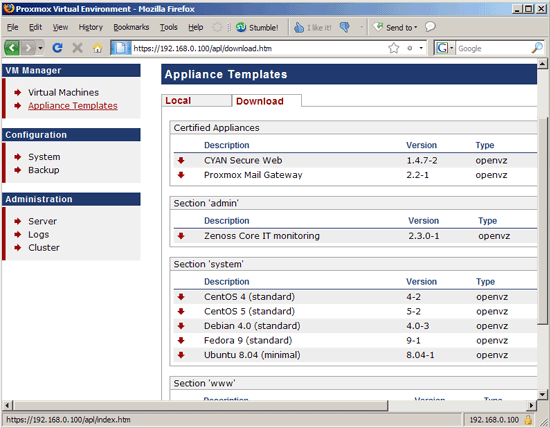 using PuTTY) on both server1 and server2. RSA key fingerprint is 7c:17:8c:35:9c:be:60:6b:56:97:2a:0b:72:60:57:09. Before we can create OpenVZ containers, we must add at least one OS template to our system (for KVM guests, you can add ISO files, although this is not necessary - KVM guests can as well be installed directly from an OS CD or DVD). 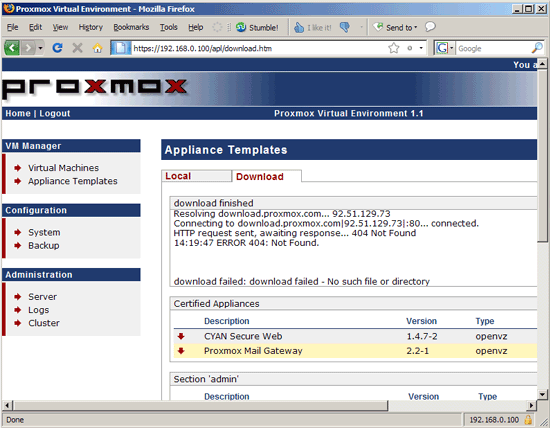 Use: pveam update from the command line on your proxmox host. 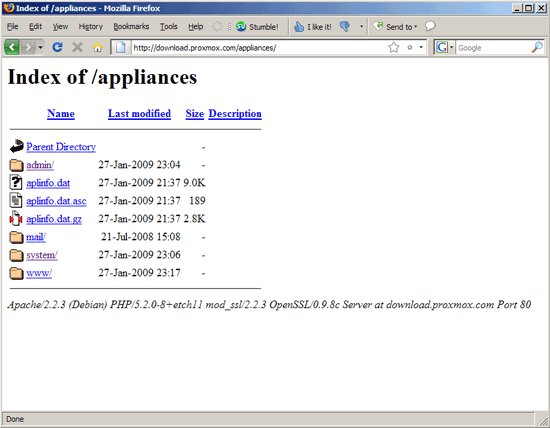 To update the dead links from the 404 when downloading virtual appliances just run 'pveam update' in a shell on the host. Worked for me.